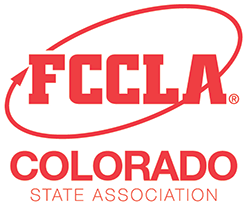 The FCCLA adviser is the backbone of the organization. Chapters could not exist without the guidance and support provided by advisers. Advisers serve as facilitators and provide resources to assist members in leadership development and project planning, implementation, and evaluation. This page provides advisers with supportive network for professional development and chapter resources. Go For the Red is an FCCLA membership campaign that provides incentives for members and chapters working to increase membership. Go For the Red empowers students to recruit, retain, and recognize members.